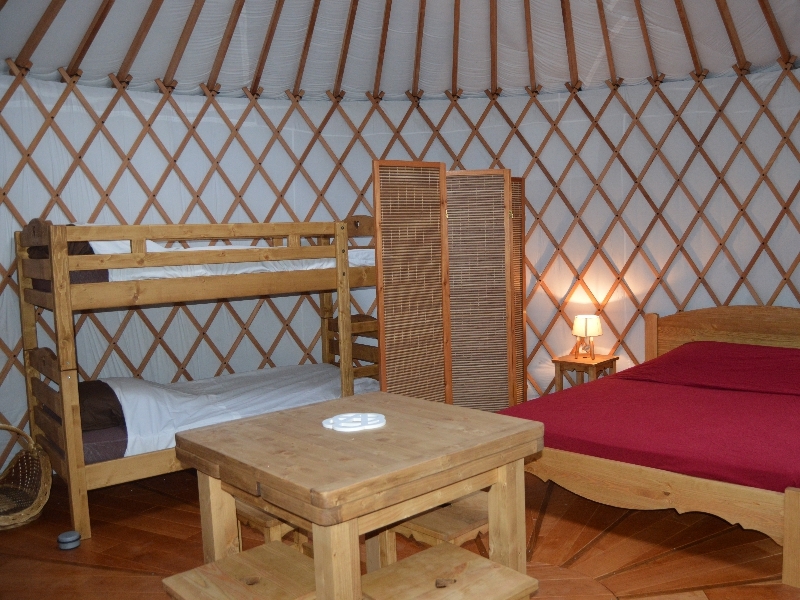 From ecologite cottages to traditional locations, from canvas and wood tents to unusual lodgings such as the bubble tent, trailer or even suspended tent, discover the accommodation that suits you best! The campsite is open from April 1 to September 30. For rentals, open all year except in November. 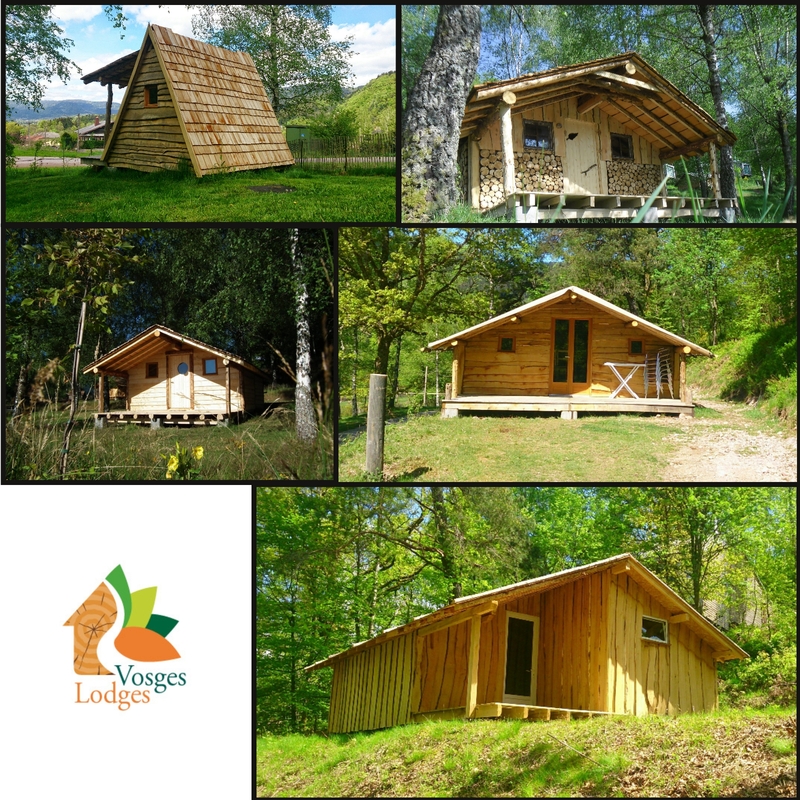 Our ecologites have a unique, original and unusual architecture. 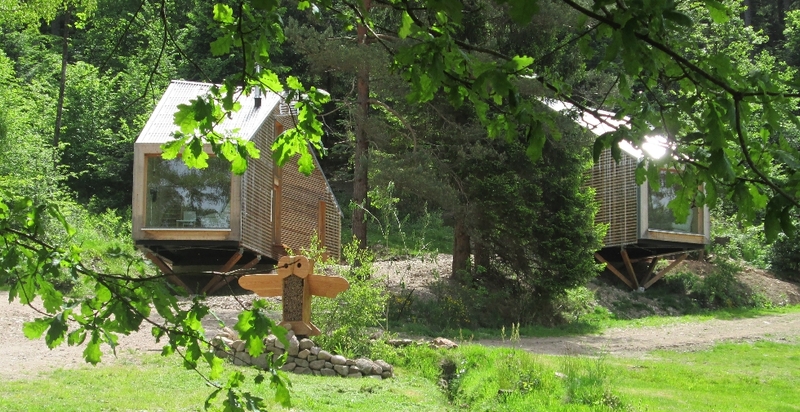 10 ecologites, including 1 equipped for disabled people are located on the edge of the forest. With their large windows facing the Valley, you will enjoy lodgings all comfort for 4/6 people and 6/8 people. They include a large living room equipped with a wood burning stove, 2 rooms, including one in mezzanine, a sofa bed, bathroom wc separated, a well equipped kitchen. Our ecologites will seduce you with their settings and arrangements. The kitchen is equipped with a fridge, four gas burners, a microwave, a coffeemaker, a kettle, Toaster, crockery and vacuum cleaner. The duvets, mattress protectors and pillows are provided. Electricity and water charges are included. One of our cottages is adapted for people with reduced mobility. 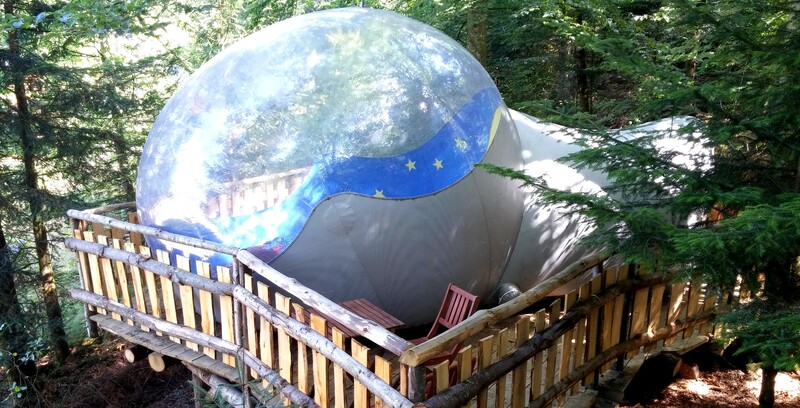 Sleep in a transparent bubble in the middle of nature! The forest is your bedroom! 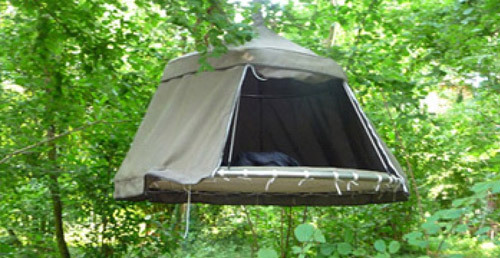 Choose an unusual type of accommodation while climbing in this unusual and atypical sanctuary at the end of the day. Hoisted on your perch, discover the hidden and secret forest life for a night. Become a nomad just for a week or a weekend! 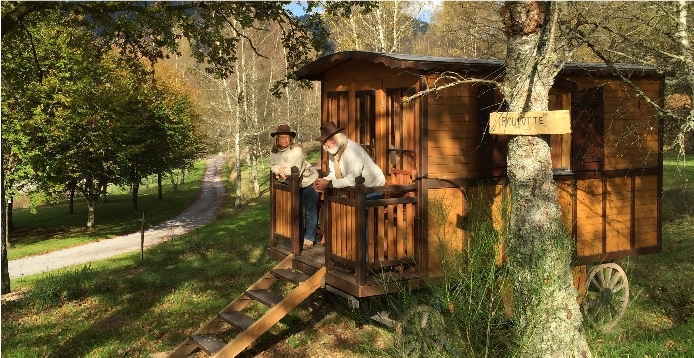 Enjoy the charm and exoticism of this handcrafted wood trailer, insulated with sheep wool, flax and cork. A touch of exoticism to share as a couple while enjoying a swim in our natural swimming pool. It is equipped with a double bed for two people, a terrace, garden furniture, a kitchen and heating. Bohemian spirit guaranteed!